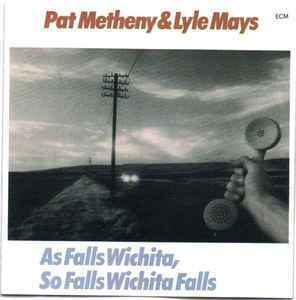 Published By – Pat-Meth Music Corp.
Varies from Pat Metheny & Lyle Mays - As Falls Wichita, So Falls Wichita Falls in that this has the ECM Catalog Number 1190-2 printed on the disc and packaging. In box next to GEMA, there is nothing written unlike r8931524 and the code 821 416-2 is under the box on the right hand face of disc (see uploaded image). The disc also has "MADE IN WEST GERMANY BY POLYGRAM" on bottom of face.